The latest chapter in the emerging rivalry between Swarthmore and Johns Hopkins was less of a 12-round epic than an early-round knockout. 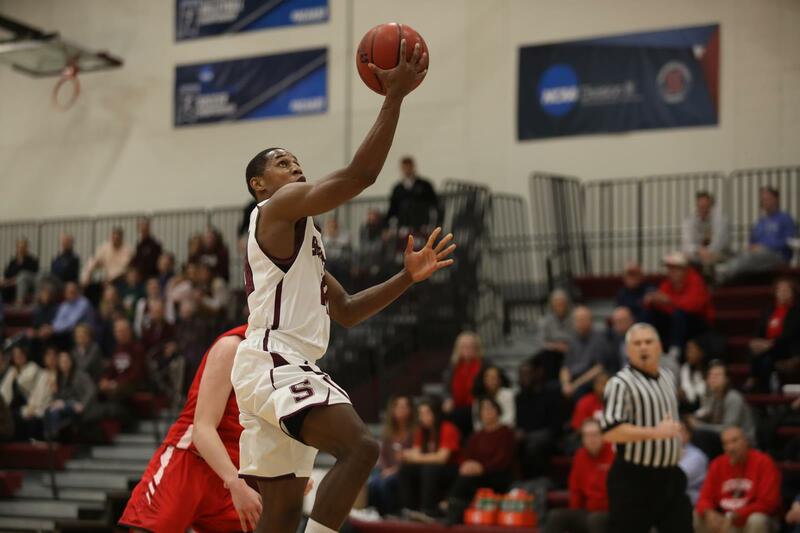 Just over a minute into the first half, Cam Wiley sank a pair of free throws to make the game 4-3 and Swarthmore never relinquished the lead, cruising to a 73-55 victory. Centennial Conference fans eagerly anticipated the game as Swarthmore, Hopkins, and Ursinus began the day in a three-way tie atop the standings. A win by Swarthmore would grant the Garnet sole possession of first place and move the team into position to win the conference. But the contest carried weight beyond the standings. The Garnet and the Blue Jays have split the last two conference championships between them, and Hopkins beat Swarthmore 61-57 on its own turf in last year’s title game On November 29, the Garnet failed to exact revenge, losing to a soul-crushing, last-second tip-in. If this was Hopkins’ best shot, it fell woefully short. Swarthmore prevented Hopkins from developing any rhythm offensively, consistently disrupting passing lanes and forcing 13 turnovers. The Garnet also stifled the Blue Jays’ enthusiastic if ineffective attacks on the rim, with O’Dell and Wiley recording three and two blocks respectively. Swarthmore at times seemed to score at will, shooting 57 percent for the game. Freshman guard George Visconti scored off of nifty moves in the low post and O’Dell led the team in scoring, with a hyper-efficient 16 points on only 10 shots. 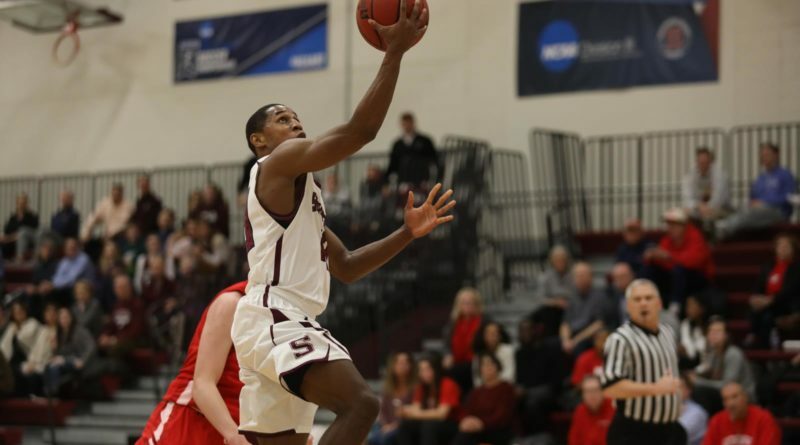 The season-long trend of productive offense continued for Swarthmore, thanks to a strong cast of mostly returning players studded with shooters such as Wiley, Connor Harkins, and Ryan Ingram. Wiley stuffed the stat sheet as usual with 15 points, seven rebounds, two steals, and the aforementioned blocks, but uncharacteristically, he struggled to finish at the rim. He was visibly frustrated after one sequence in which he rebounded his own attempt, missed the put- back, and then grabbed another rebound and missed again (he drew a foul on the second effort, however). Swarthmore won the rebounding battle handily, and leveraged its second-chance-opportunity advantage into a 42-24 halftime lead. Both teams scored 31 points in the second half, but the game never felt close. Despite a seven-minute field-goal drought in the second half, the Blue Jays never managed to pull within 13 points. Forward Harry O’Neal led Hopkins in scoring with 15 points, 12 of which came from three-pointers. His impact was limited beyond scoring, however, as he spent most of the game floating on the perimeter and barely contributing on the boards. Hard-driving guard Joey Kern also scored 12 points, but by effectively hedging and stopping screeners like Daniel Avila from diving to the rim, Swarthmore never let him unlock Hopkins’ high ball-screen-oriented offense. The win puts Swarthmore atop the conference alone, and the team followed up with a win at Dickinson on Saturday, scoring a season-high 100 points. Wiley and Visconti dropped 27 and 26 points respectively. With the regular-season title seemingly locked up (though a potential trap game at Haverford looms), it would be natural for eyes to turn toward March Madness. O’Dell stressed, however, that assuming another deep run like last year would be dangerous. “I think guys were thinking ahead last year, and that’s what cost us our game in the Elite Eight,” he said.